Now celebrating 30 years installing various aspects of hardscaping features, we know how you want to create a personal outdoor room that serves multiple functions. That’s why we specialize in building one-of-a-kind interlock and natural stone patios and walkways ,pool decks ,interlock driveways ,retaining walls and more. We utilize different materials and combine different textures like metal, wood,glass and stone to build stunning outdoor kitchens – fireplaces either, wood or gas, custom outdoor light posts and gate entrances We have done extensive work in natural armour stone retaining walls and steps. 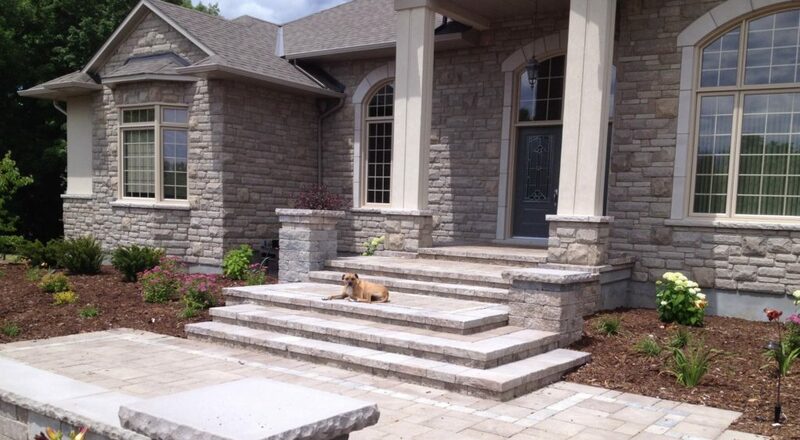 We are a TechoBloc TechoPro installer and a Permacon preferred contractor for all aspects of interlock and hardscaping. We are a company that excels at creating one-of-a-kind projects.